Whatever flashes upon my inward eye. 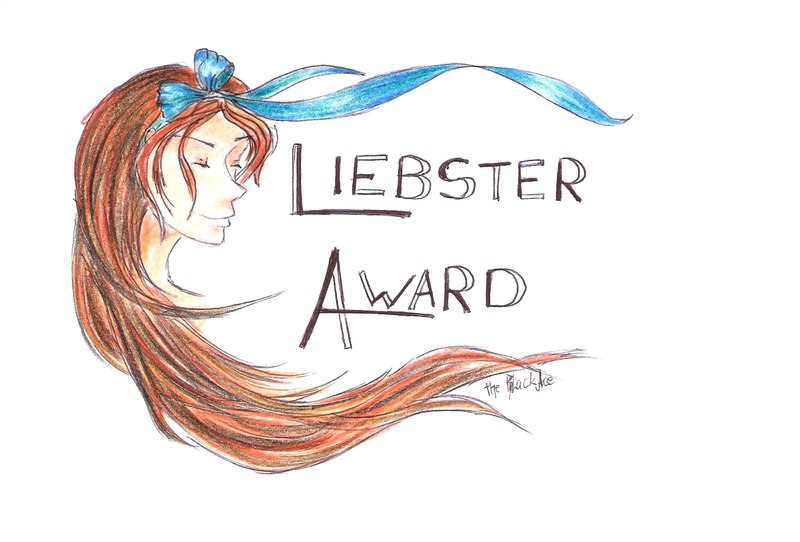 Thanks for the (2nd) Liebster award! I will admit I’ve left this a very late. But I was delighted when I saw and I was probably grinning like a fool. I’ve already done the post for the Liebster on my other blog, so I’ll be lazy and give you the same 11 facts, and some of the same questions. No blogs will be nominated twice (obviously) but that means I’ve run out of nominations here, so please do check out my other Liebster post for those nominations! This is will also be one of the very few posts here with so much writing. Huge thanks to A GarMont Confession , Stone Soup with karensamenow and CC Champagne for nominating me and thinking my blog was ‘worthy’! It made me so happy, and the buzz still hasn’t worn off! I’m going to answer these questions as if someone was speaking to me and basically give my immediate response-just what I’d say if you asked me face-to-face. Those answers weren’t too deeply considered, basically. And since I know how much I wanted to see the answers of people who I’d nominated I will answer all three sets of questions. But I will skip repeats and questions if my answer is- ‘I don’t have one’ or ‘I don’t know’ or something like that. How you describe your style ? Hmm, clothes that aren’t typically girly? Practical, comfortable, smart. Unique and understated, but with colour. I wrote a blog about it here actually. I prefer timeless clothes that won’t go out of fashion-because they’ve never been in fashion.Wait, I just realised that could refer to art-in that case, probably raw and in-the-moment. My motive when I draw something is to put on paper something that I can see in my head, and that shows in how rough my sketches can be. Ripe, sweet, rich jackfruit. Jackfruit chips are great too. If you don’t know what that is, go Google it. It is delicious. What’s the most important thing on a relationship? No secrets. Lay it all out fair and square – if you don’t, don’t expect me to. Be straight and don’t put up two fronts-this one applies to anyone I know actually. I used to collect keychains and rubbers, but I’ve sort of stopped now. But if I see a really nice one, I’ll still buy it. BBC Sherlock. I can’t get enough of that high-functioning sociopath(although he isn’t technically a sociopath), and the delicious script. I love it much. Or BBC Merlin, that was amazing when it was on. What’s the main issue that worries you about your country and how you can change that? Quite a lot of things actually. But none of them are really in my control, and since I’m not there I can’t vote and add my voice to make a difference. If I had to pick, I’d say that the law should be much more forcibly and efficiently enforced with regard to violent crimes, particularly against women. I think that issues like corruption are something of a luxury to address right now when there are more basic rights and freedoms not in place. But I have lots more to say and this isn’t a question that can be answered all that easily for me, so I’ll leave it at that. Although, looks like things are going to get better after last week’s general election results. And it would probably be more suited to my other blog. Monsoon. It’s a feeling like nothing else watching the driving rain through the grill of the the open windows in my dark bedroom before bed. What was your first thought when you saw this nomination? I have to get up now, something good just happened. I saw it in the morning, when I checked my phone like I always do first thing in the morning. Why 11 questions when it can be 10? Don’t ask me. It was one of my 11 questions too funnily enough, and I wrote that before I read this. Because 10 is too old fashioned, and 11 is modern and fresh and the new 10? Like orange is the new black, or green is the new black? What’s the ‘new black’ these days? Nothing’s ever really the new black is it-black is always there and always classic. Why do people always ask this? I’m pretty open with all the things I’m interested in and do so it should be fairly easy to make up your mind on what I’m like. Sorry, I had a little rant but it’s just because I’ve seen lots of quizzes and interviews and I just don’t get it. Surely, you’re questioning someone you already know a bit. But I won’t be a spoilsport so I’ll answer the question. Confident, resilient, with a bit of an ego. Not easily surprised or thrown off balance. That’s what I think. If you could spend the day with anyone, who would that person be? My granddad on my Mum’s side. We would have had so much to talk about, a day wouldn’t be enough to make up for the lost time. What is your favorite movie, and who is your favorite actor? I don’t really have a favourite movie, but I think Benedict Cumberbatch and Robert Downey Jr. are seriously awesome. I think Kim Jaejoong’s a really good actor too, Hyun Bin and Kim Soo Hyun as well but it’d be a pleasant surprise if you knew either of those three. So much. I read, a little less than I used to now, and write and draw mostly. Sometimes I watch the odd drama or movie or documentary. If you were a car, what kind of a car would you be, and how would you accessorize it? Hmm, not sure but I’m thinking maybe a Mini convertible. And I’d go for a black and white chessboard look for the outside. It’s practical and a really good car but it’s pretty stylish as well(I think). If you could travel to anywhere, and I mean anywhere, where would you travel to, and how long would you stay? I would travel to my book’s universe I guess. It’s a parallel world(yay! they’ve practically been confirmed to exist) to ours called Eratos and it is just great. I’d stay there for as long as I could without wrecking the natural order(I mean, I’d be a person from the other world and bad things happen when people cross over). What puts a smile on your face faster than anything else? At the moment, probably DBSK songs, or CNBLUE songs. I love them both. But more generally, finding out I’ve finished all the things I had to do makes a smile smugly and quickly. If you could go back in time, where would you want to be and why? Ancient India-I guess that’s about 3000/3500 BC? It must have been an amazing place to be-rich culture, common debate and scholarship…lots of stuff. If it can’t be that far back, then about 1946, Southern India when the Independence movement was really picking up momentum. I think it would be a really interesting time to be alive, and it has personal meaning as well. What do you love about blogging, and how have you grown from it? I like being able to express opinions and share my art on a wider platform. It has taught me that ‘just ten minutes’ can and will easily turn into an hour or more, so I should not blog when I have other things I must do. Like always, basically (except holidays). Well, this one’s my art blog, simply to share my sketches with anyone who cares to see. I don’t really intend to write much here, the focus is the art. My other blog is about my opinions on things-of which there are a lot-and poetry that I write. That I won’t get where I want to in life, especially now. Books, music, a good movie and food I like. My mum and having my things around me. I’m a pretty simple person. Are your relatives your friends? I suppose so? I don’t really see them very often but family is a different kind of bond for me. And I’m the youngest so there’s a big age gap between me and the next youngest in my family. I don’t really have one. But I like maroons and reds and purples and black and white. My mum and grandma. Other than that, they’re all fictional more or less. My English teacher at GCSE. I looked forward to pretty much every lesson, even though I’m very much a science person and do only sciences now. She was kinda crazy, in a good way, and we had really similar taste in books-take that as you will. What is one of your goals for yourself over the next year? How many times have you flown in an airplane? Again, lots of times. Maybe 30 or 40 times? I can’t really count them. What’s the farthest away you’ve been from your home? Where I am now. Home is India and I’m in London. 1. I love to draw(as you might have guessed), and very much wish I’d taken a creative subject at college. 2. I’m currently writing a novel and I love my characters way more than anyone should, and I really, really hope they’ll be loved by those who get to know them through my book. 3. I became very obsessed with Harry Potter when the seventh book came out, even though I hadn’t read any of them up till that point. I read all seven books in a few months that year. 4. I like languages-I like being able to recognise them, I like learning them, I like being able to understand them. 5. I am a very sarcastic person who comes up with good comebacks. 6. I like talking about deep subjects like the existence and nature of God or gender conformity and lack thereof while sitting at the table with a bag or box of something bite-size to eat. 7. I like a good debate or argument once in a while. 8. I’m not mainstream in most things, and tend not to just ‘go with the flow’. It’s good to be different, and that should be acknowledged not swept under the carpet. 9. I like maths, a lot. Deal with it. 10. I hate the phrase, ‘it’s not normal’. I mean, what even is that? There is no standard that absolutely everyone conforms to so that we can set a ‘normal’. And even if there was, what’s so good about that anyway? Pretty boring if you ask me. 11. I think fruit is great and don’t like chocolate. I don’t understand how people can not like fruit. There are only four but that’s because everyone I’d nominate has either already been nominated or has too many followers or I nominated them in my other blog. 1. Is there a skill that you tried to learn but just couldn’t? Annoyed me so much when it happened to me. 2. How old do you think I am? I’ll comment hot or cold on your guestimate. 3. Do you believe in true love? It’s just interesting to know. 4. If you could be an animal for a day, which would it be and why? Mythical creatures allowed. 5. Have you ever listened to music in a language you’re not fluent in? Who was it and in what language? I listen to a fair amount of ‘foreign’ music so I’m wondering if other people do too. 6.What are your opinions on chemistry? I mean the subject. 7. Have you ever worried people will judge you for doing something/being a certain way even though you see someone else who’s always done/been like that and no one judges them? It’s not a very clear question, but I hope you get what I mean. 8. Do random things and people put a smile on your face or annoy you? Why? Tell me more. 9. What century and decade do you think you should have been born in? It can be any time. 10. If you could be absolutely anything you wanted what would you be? People please, not creatures. It can be fictional or historical though. 11. If you had to support women’s rights or LGBTQ rights movement, which would you join? Both is also an answer. Congrats to all my nominees. Post 11 facts about yourself and answers to my questions, then nominate 11 other bloggers and set them 11 questions. That’s it. Happy blogging! p.s. Feel free to display the logo I drew. I don’t expect anyone will want to but if you do, please tell me first. It’s alright! I don’t think it’s that interesting, I’m one of many like that 🙂 hope you enjoyed reading my answers. The cafe feel is exactly what I was going for-I wanted it to feel as if I was having a real conversation or interview with you, cause that’s more personal right? Rather than long winded considered answers that were really safe, I wrote down exactly what I would say to you if we met in person and you asked me that, because I thought my personality would show more that way. They’re all first impression responses, if you know what I mean, so that’s what I’m like in reality 😉 so despite that thanks for saying that I’m pretty cool! Did you read my answers to the other questions as well? More of my personality starts showing there. About India, I will say first of all that I haven’t actually lived there for a long time even though we go there often and own two houses there. I live in London now but I’m still Indian, y’know so free to ask/talk to me about anything like that! I’m glad you enjoyed ‘She Thought So’! It’s a joint blog but it’s on a hiatus now because both of us are very busy. Did you see my own other blog called Musings of a Young Adult? I hate advertising but if you liked that, this blog is more of the same 🙂 haha I’m always happy to see long comments-it makes me feel like you have so much to say about what I’ve put up and that you care enough to say it out loud! I enjoyed reading more about you, Ace. I’m glad you did 🙂 you’re very welcome.